When I hear people speak about how proud they are to be a loyal employee, I want to cringe. Be loyal to yourself, your partner, close friends, family and your pet. Do you think your loyalty will be reciprocated when your company is facing tough times and has to review numbers and headcount for a reduction in force? I’ve seen business owners in smaller organizations be loyal to employees by making sure they receive salary increases and bonuses every year — for basically showing up for work. That’s OK, but only to a point. Is it because companies don’t want to go through the pain of hiring new talent? Can business owners and leaders honestly say that this employee who has been working for them for the last 15 years is continually growing and that growing is positively impacting their business? 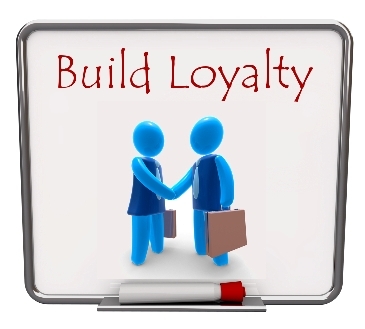 Or does having an employee come in on time, day after day, equal loyalty? For many business owners it does. And good for them. Or is it? I believe that business owners are doing themselves, their employees and their company, a disservice by not embracing fresh eyes and new talent. Do your job and do it well — that’s being loyal to yourself. Never stop learning and advancing in your field. Don’t take risks at work to prove your loyalty to anyone for any reason — it may come back to bite you. Never believe someone who says, “I’ll take you with me.” That’s just stupid. Remember that as quickly as decisions are made in organizations is just as quickly as those decisions can change. Always have your Plan B tucked away in your back pocket because no one else will. Don’t be selfish and stifle employees. Let them grow and encourage them to seek out new opportunities. Keeping employees under your thumb is comfortable for you but puts laziness over progress. Once you bring fresh eyes and new talent to your business, you’ll wonder how you ever got along doing the same old thing day after day. This was originally published on Kimberly Patterson’s Unconventional HR blog. Kimberly Patterson is the founder of Unconventional HR. An HR pro turned consultant, she has 25 years of progressive experience as a strategic HR and business leader in a variety of industries. Her hands-on and innovative approach allows her to create and deliver HR solutions to meet business challenges and needs by managing human capital, talent acquisition and technology. Connect with her on Twitter at http://twitter.com/kimberly_patt, or at kim@unconventionalhr.com .